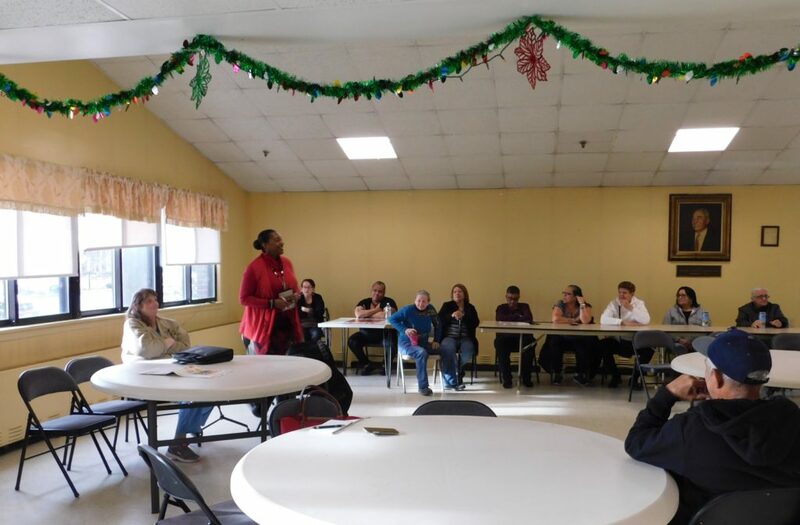 Weeks into her job running the state’s third largest public housing authority, Springfield Housing Authority Executive Director Denise R. Jordan has begun meeting with residents, and where they live. Since she began the job in October, Jordan has met with residents at four of the SHA-run housing developments in the city – Gentile, Jennie Lane, Riverview and Saab Court, and she plans to continue the practice. She is approaching the sessions as friendly, get-to-know-each-other meetings that can cover topics as wide-ranging as unauthorized guests, parking, security, and maintenance issues. Springfield Housing Authority Executive Director Denise Jordan meets with residents at Gentile Apartments. 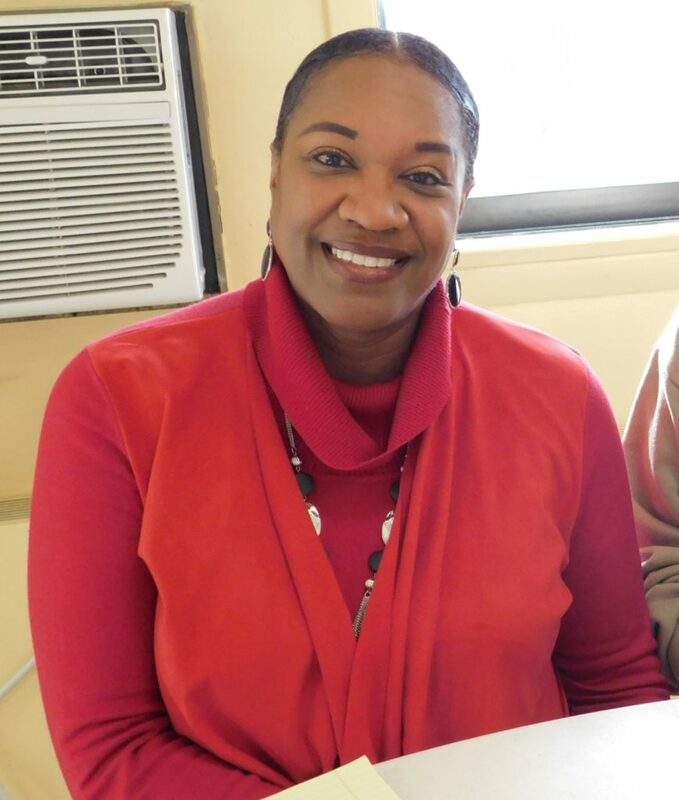 After each meeting, she researches and reassesses the agency’s role in the city, and its approach to tenant services. At a recent session at Gentile Apartments, some two dozen residents engaged in conversation with Jordan in the Community Room, asking questions in a relaxed format and making comments about life at the apartment building for elderly and handicapped persons located in the South End section of the city. Gentile Tenants Association President Gail Turner said the meeting was proof positive that Jordan will be taking a friendly, hands-on approach to leading the authority. Springfield Housing Authority Executive Director Denise Jordan. “We’re happy to have her here,” she added. 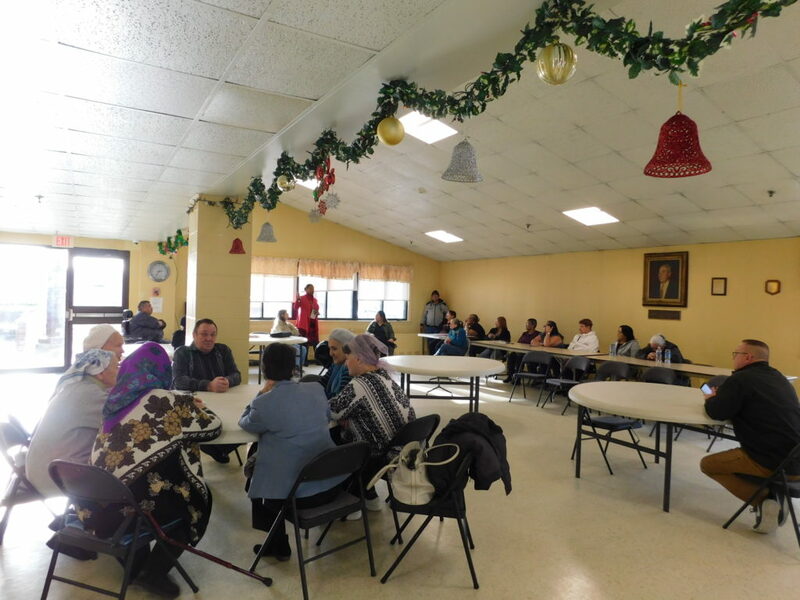 With translators available for residents who speak mostly Spanish, and Russian, the meeting was a back-and-forth covering issues of security, smoking violations, and unwanted visitors, among other topics. For each issue or comment, Jordan responded with information, advice, or a promise to look into a situation and get back to them. Also on hand are staff members from the appropriate district to help provided any needed information. Overall, Jordan said she is finding the sessions informative and helpful as she gets to know the organization and the staff and tenants she serves. To date, she has met with all staff, and will continue to meet with residents in the informal sessions. “So far, the meetings have been very informative. People have been very nice to me, and are excited that I am here, and that is very comforting to know” Jordan said. “I have learned a lot from the tenants about issues or concerns, and I have been able to share things with them from a management point of view to help build a certain level of transparency as to how SHA will operate going forward,” she added.